Adobe has added a couple of interesting new features in its latest version Premiere Elements. It's also done some fine-tuning of the interface to make it easier to locate effects and to focus on the audio aspects of your videos. Adobe continues to build out the world's most popular consumer photo editor with some nice, new enhancements. We're excited to celebrate release of the latest editions of Premiere Elements and Photoshop Elements. Premiere Elements 2018 includes a new features like a Smart Trim tool, for taking the best segments from a longer clip, and Candid Moments, a tool for grabbing snapshots from your video. Photoshop Elements 2018 includes a new Smart Selection tool, which selects objects in your photos based on your rough outline, and a new Open Closed Eyes feature, for saving those unfortunate photos that are perfect except that the main subject's eyes are closed. And both programs include a new batch of Guided Edits to walk you through the process of creating cool special effects. 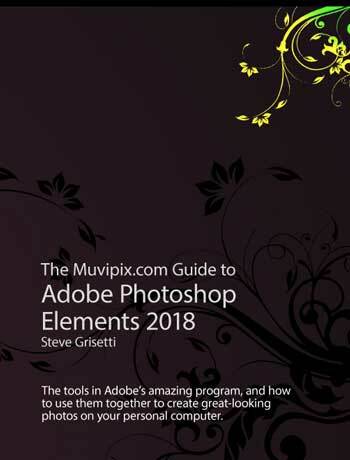 As always, we’ve made every effort to offer the most comprehensive support possible for these programs in the forms of our latest Muvpix.com Guides. You’ll find thorough explanations of each of the tools in all of the programs as well as how-tos for the latest tools and dozens of tips and tricks for taking advantage of the many cool but not-so-obvious features in the Elements bundle. And, of course, we'll continue to provide tips, tricks and tutorials right here on Muvipix so that you can make the very most of your entire photo and video editing experience. The tools, and how to use them, to make movies on your personal computer using the best-selling video editing software program. The tools in Adobe's amazing suite of programs, and how to use them together to create professional-looking movies and great-looking photos on your personal computer. There's no better way to enhance your digital photos and to make great-looking videos than with Photoshop Elements and Premiere Elements - two feature-packed programs that work great together. How to correct color, erase blemishes and enhance your digital photos to make your good pictures look great! How to use the newly designed Quick Edit and Guided Edit workspaces to create cool new effects for your photos almost automatically! 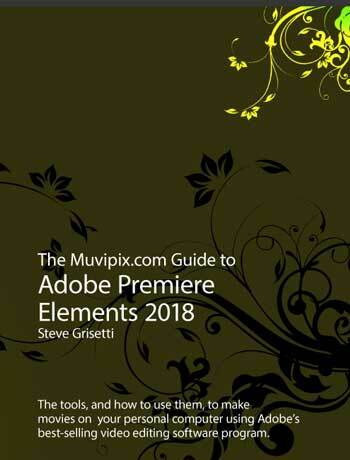 How to prepare photos, graphics and slideshows for use in Premiere Elements and other video editing programs.